Show beautiful zoomed images on hover alongside product videos. 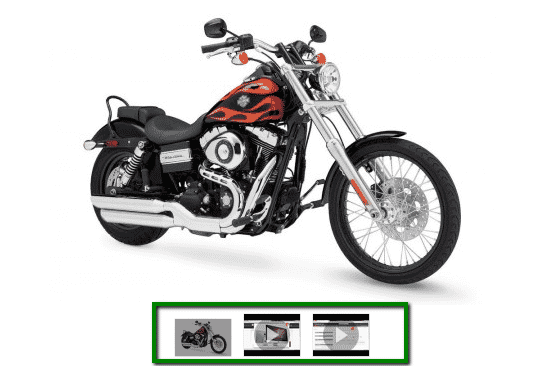 Fully responsive Magento image zoom. Unrivalled – fresh new releases for 7 years running. Unimpressed with the default Magento image zoom? You're not the only one. Switch to the beautiful Magic Zoom to add smooth zooming and responsive resizing to your product images. Supporting both Magento 1.x and Magento 2, your ecommerce store will immediately benefit from this timeless image zoomer. It's a Magento product image zoom which also supports video too! Adding videos to your page and swapping between product images and product videos has never been easier. Instinctively click between them and WOW your customers with a fast, professional experience. You can even go one better! The premium version, Magic Zoom Plus, can enlarge images to full-screen too. Read reviews of Magic Zoom on the official marketplace for Magento 1.x and Magento 2 extensions. Either Magento 1 or Magento 2, Magic Zoom can significantly improve your website’s UX. Magnificent image zoom gives a better understanding of your products on different pages & sections of your store. Show every detail of your products and your customers will love it. Protect your images from unauthorized copying - turn on the convenient watermark feature. Choose the size, style and location. Images are cached for instant download, keeping your page fast and your users happy. For even faster load, set Magic Zoom to load images on request instead of on page load. 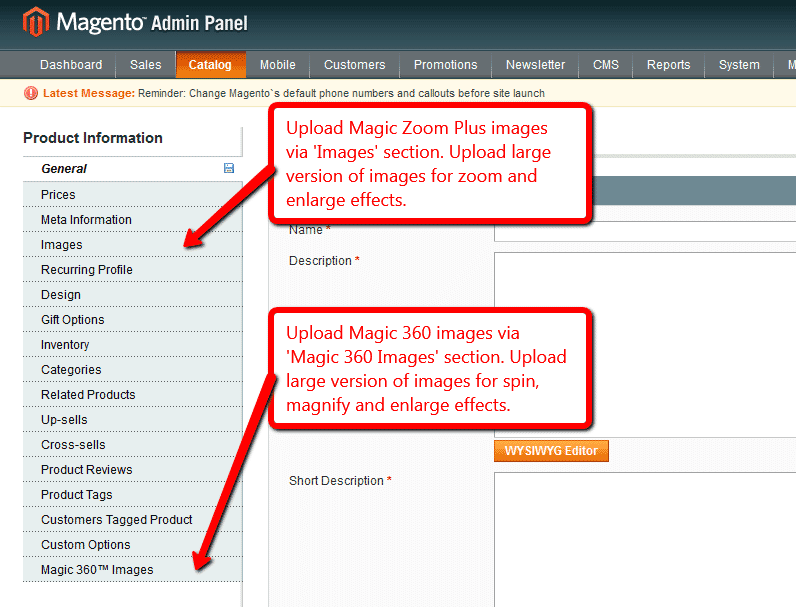 Install this Magento image zoom extension in one click, directly from your Magento admin. Works on every Magento version (both CE and EE) Forget about manual customisation - adjust everything directly from the Settings page. 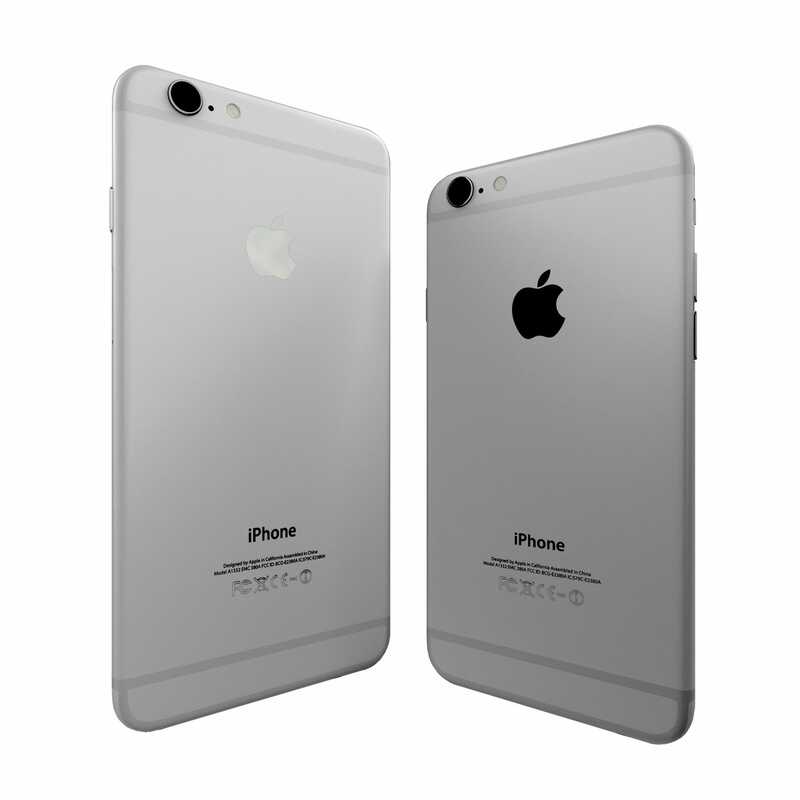 Upload very large product images for a highly detailed zoom - Magic Zoom will automatically resize them for you. It helps SEO and this image zoom extension also supports SEO friendly captions to boost conversions. 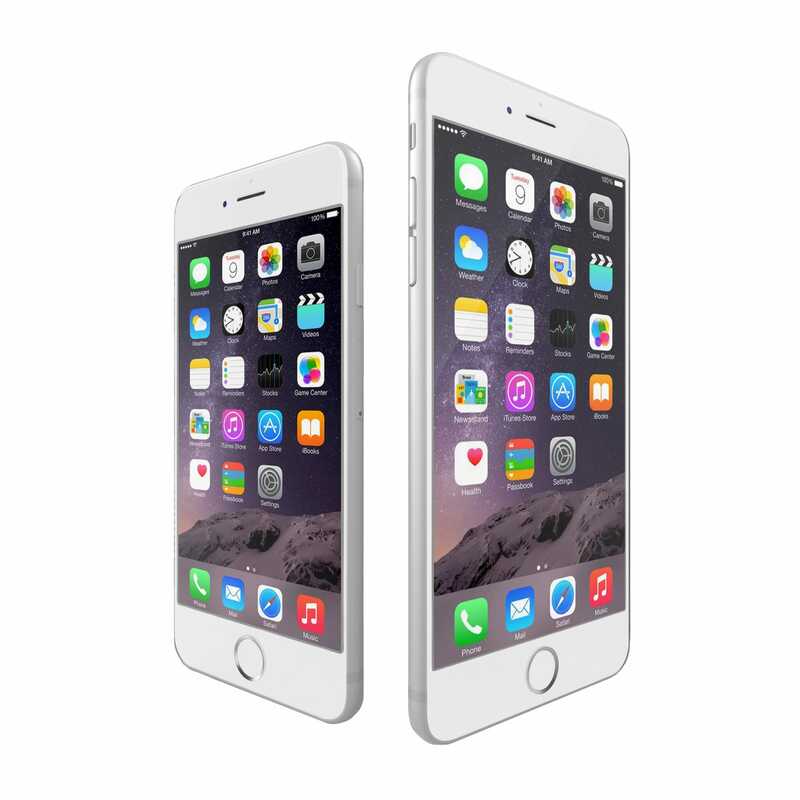 Magic Zoom is refined to look stunning on all types of devices - from cell phones to desktops. It does not require jQuery or any other frameworks to work perfectly on your store! Our friendly support team will quickly solve any problem you encounter. Our reviews tell it all. We got this extension for our Magento2 shop and are very pleased with the result. We had a question and support helped us really fast. Great responsive product slideshow and zoom. MTB were particularly swift to add details and fix - thank you! I purchased the Magic360 extension with some extras like gallery and zoom which look great. Although there were a couple of small issues with our theme, the developer replied and fixed everything each time within a few minutes. The support it outstanding and for that reason I would definitely recommend and will also purchase for other projects. Works as described. Easy to install and configure. Download Magic Zoom for Magento (free and fully functional demo version). Unzip the file on your computer and FTP the magiczoom folder to your Magento directory (on your server), keeping the file and folder structure intact. Customize the Magic Zoom extension through the Magic Toolbox > Magic Zoom settings > Default settings menu in your Magento admin panel. Activate Magic Scroll to enjoy organised thumbnails on your product page: Magic Toolbox > Magic Zoom settings > Default settings > 'Product page' tab > 'General' section > Scroll thumbnails > Select 'Yes' > Save changes. Download Magic Zoom for Magento 2 (free and fully functional demo version). 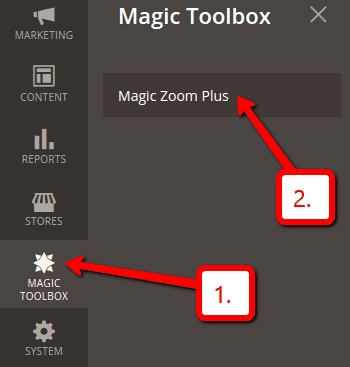 Find the magictoolbox/magiczoom component in the list and select the Enable action. 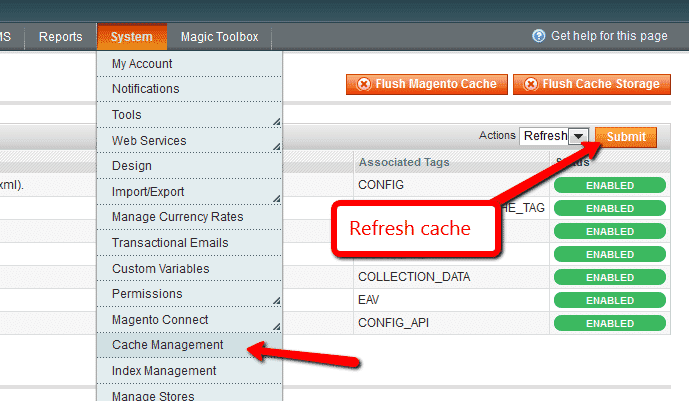 Customize Magic Zoom settings to suit your needs - go to the [Magic Toolbox > Magic Zoom] menu in the Magento admin panel. Activate Magic Scroll to enjoy organised thumbnails on your product page: Magic Toolbox > Magic Zoom > 'Product page' tab > 'General' section > Scroll thumbnails > Select 'Yes' > Save changes. To remove the "Please upgrade" text, buy a license and overwrite the /skin/frontend/[your_interface]/[your_theme]/js/magicscroll.js (app/code/MagicToolbox/MagicZoom/view/frontend/web/js/magicscroll.js for M2) file with that from your licensed version. Make sure Magic Zoom is installed on your Magento 1.x store. To zoom some images and spin others on your product page, you can install both Magic Zoom and Magic 360. Install the Magento module for Magic Zoom. 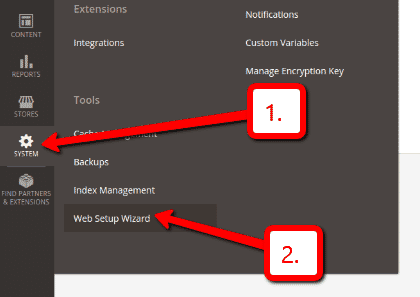 Go to Magic Toolbox > Magic Zoom settings > Default settings menu in your Magento admin panel. 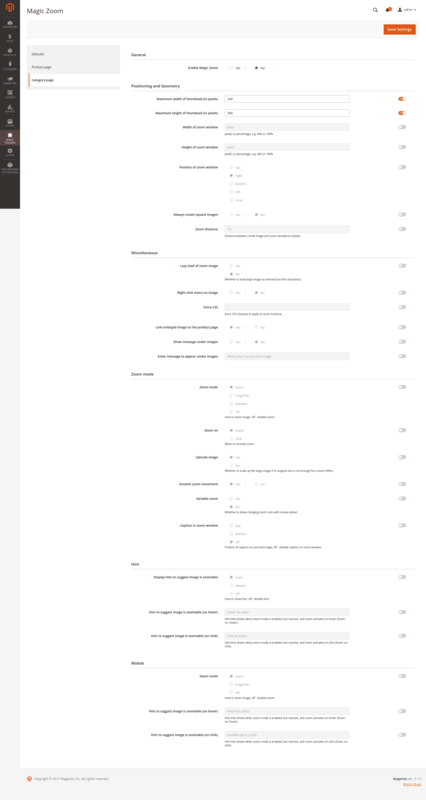 All HTML code for Magic Zoom settings are described here. Magic Zoom supports Magento product attributes out of the box. Thanks for trying Magic Zoom on your Magento site! What did you hope Magic Zoom could do? How can we improve it? Let us know, we're always improving our tools based on customer feedback. 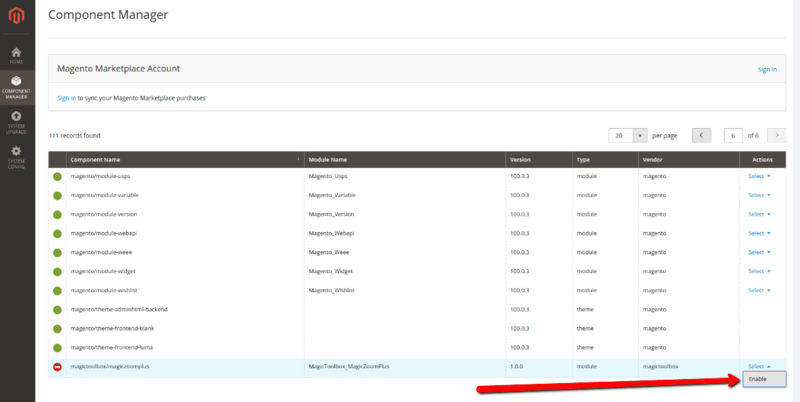 Delete the magiczoom folder from the root of your Magento directory (on your server). Find the magictoolbox/magiczoom component in the list and select the Disable action.